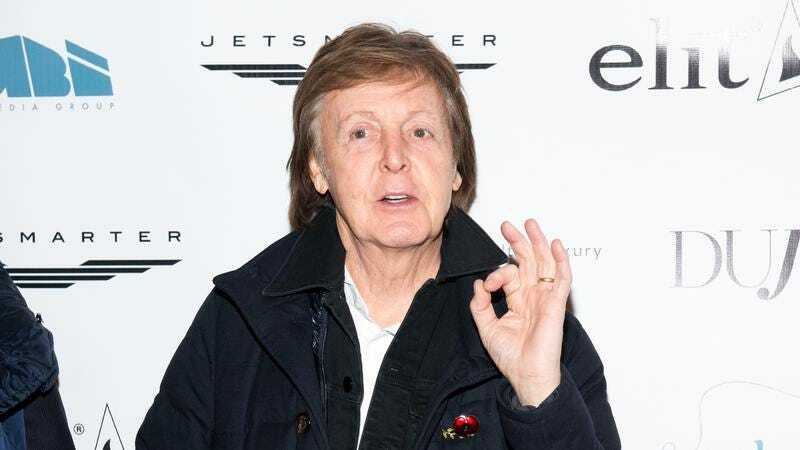 Thrusting that old rock legend stand-by question, “The Beatles or The Rolling Stones?” into a weirdly nautical, theme-park-y new direction, Sir Paul McCartney announced last year that he’d be following in Keith Richards’ footsteps with a cameo in the Pirates Of The Caribbean movies. (Specifically, this month’s Dead Men Tell No Tales.) Now, McCartney has tweeted out a picture of what an English knight and rock legend looks like in full pirate regalia, as a promo for the May 26 blockbuster.